A gorgeous rose gold love balloon. No helium required! 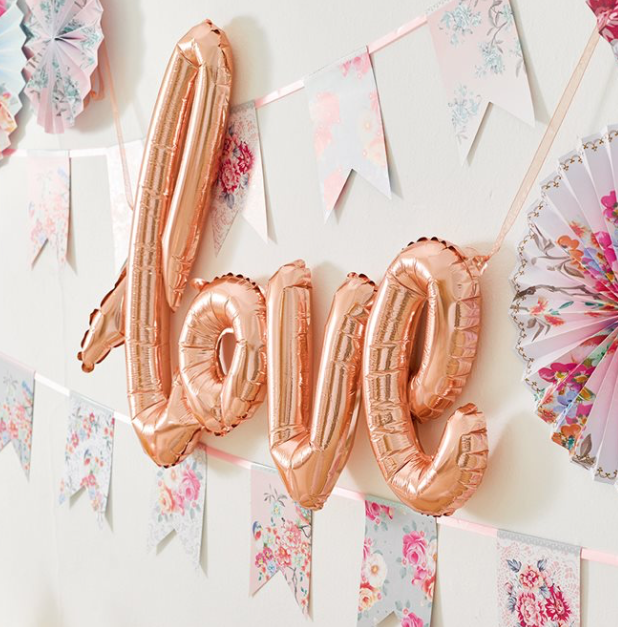 This stunning rose gold ‘love’ balloon is a fabulous decoration at a party, glamorous hen party or your wedding day!